THE ABC appears to have backflipped on its decision to bench newsreader Natasha Exelby over an innocent blooper, amid a tidal wave of public backlash. 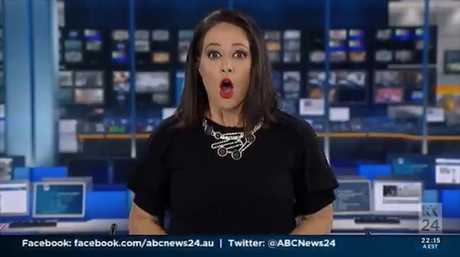 Reports surfaced last night that management at the ABC decided to ban weekend newsreader Natasha Exelby from appearing on air after she was caught off guard during a live news shift. 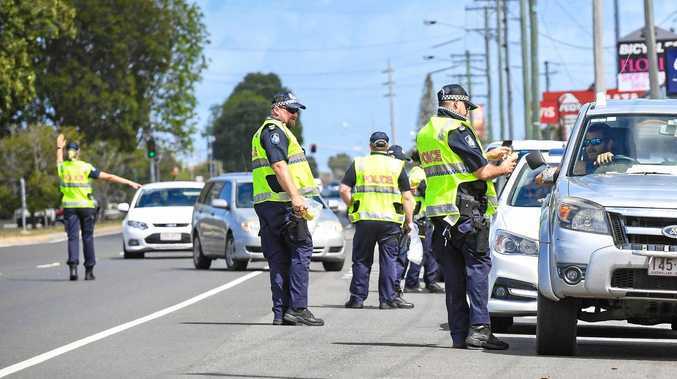 The short clip of the incident, showing the seasoned presenter "daydreaming" on the job before making a quick recovery, was brought to attention by the ABC's own Media Watch on the program's Facebook page and promptly went viral. While the reaction was overwhelmingly supportive and in good humour, it seemed the public broadcaster didn't find it that funny, as news circulated that Exelby had been taken off the on air roster. However, the ABC released a statement a short time ago, insisting Exelby's lack of future newsreading shifts had nothing to do with the events of the weekend. "Media reports that Natasha has been 'banned', 'barred' or 'fired' are untrue. Natasha is a freelance journalist who works as a contributor," a statement by News Director Gaven Morris read. "She has been rostered for various shifts and has been assured since yesterday that we want that to continue. 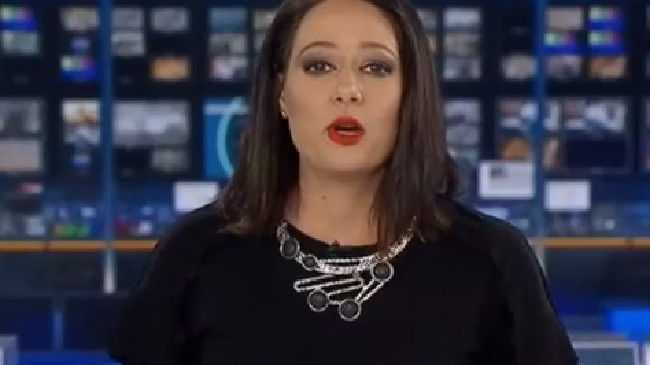 Jessica Adamson drops F-bomb live on air: NATASHA Exelby wasn’t the only newsreader to make an epic blunder on live television this week. While she is not currently doing any on-air shifts, this will be subject to normal performance management. I have spoken to Natasha and conveyed our regret that this has attracted such attention." He added that the ABC understood that slip-ups are part of the job. "Live television is a demanding art and slip-ups will happen - our presenters are humans, not robots. We take on-air standards extremely seriously, but we don't expect perfection. No one would ever be punished for a blooper and, while it isn't appropriate to publicly discuss confidential details of people's personal work arrangements, this has not happened to Natasha." Earlier today, Channel Nine presenter Georgie Gardner became the latest among the scores of viewers, media veterans and politicians to slam the ABC over its bizarre decision to bench a newsreader over an innocent blooper, claiming the broadcaster needs to take some responsibility. During Today Extra's panel discussion, Gardner pointed out a detail everyone else has missed - that there should have been floor staff on hand to help Exelby. "The most pertinent point is, there should have been someone in her ear, or on the floor giving her the count out of the taped piece to know that it's coming up - to know she's about to appear on camera," the veteran reporter said. "So whether there's any follow-up there ... I reckon you'll find she'll be reinstated." Gardner went on to defend the presenter for her reaction during the viral clip. "I thought it was an amazing recovery. I don't get this - we all make mistakes. I've certainly made my share ... and the audience loves live TV, they love this stuff," she insisted. Opposition Leader Bill Shorten was among the other vocal opposers to the decision to bone Exelby, tweeting his disbelief. "It's live TV. This is just ridiculous," he wrote. Fellow news presenters joined the backlash. Studio 10 host Sarah Harris called the decision harsh. "We've all had stuff ups on air. Hell, I've even dropped the F bomb. This seems harsh from the ABC," she said. Weekend Today presenter Tom Steinfort labelled the ABC's decision disgraceful. "What an absolute disgrace by the ABC is this is true," he wrote. "Sacking someone for an innocuous mistake." Other broadcasters ventured if all presenters were held to the same standards as Exelby, there'd be "no one left in the industry". It wasn't just those in front of the camera who were shocked by the decision. Injustice was felt in the homes of ABC viewers all around Australia. On the Media Watch Facebook page, a network conspiracy has been suggested. "With over 800 shares and 1400+ comments, did you guys have a role to play in making this go viral, and consequently assisting ABC management's decision to remove her from future on-air duties?" one viewer wrote. Another commented on the original post sharing the video: "Thanks to Media Watch - she's been boned." Speaking with news.com.au before the news of her reported sacking went public, Exelby admitted Sunday's performance was not her most professional moment, but managed to see the humorous side. "I can understand why people found it funny and it was certainly me at my most raw," she said. "I also have to take some responsibility here. I'm a professional and what happened was far from professional." "If I was able to make people laugh (even if it was at my expense) then I don't think that's a bad thing."